Matt Swift is the Program Coordinator for OSU’s Film Studies Program. 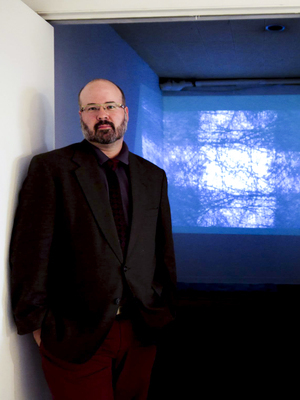 His background includes a Bachelors of Arts in both Film Studies and Art History with a Minor focus in Fine Arts from the Ohio State University and a Master’s in Library and Information Science with a focus in digital collections preservation and access from Kent State University. In 2007 Matt was inducted into the International Library & Information Studies Honor Society (BETA PHI MU). Over the past ten years he has been performing freelance work locally in the form of providing audio/visual digitization consultation and creating video, photo, graphic arts, and paintings for the purpose of art exhibition as well as for local professional organizations.